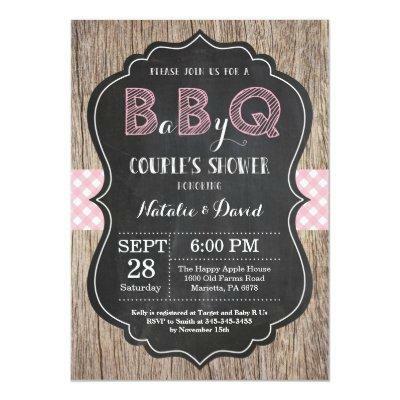 BBQ Couples Shower Invitation. Baby Q Invitation. Backyard BaByQ Bash BBQ. Babyq Couples Shower Invitation. Boy or Girl Baby Shower Invite. Pink Check. Rustic Wood Background. Chalkboard. For further customization, please click the "Customize it" button and use our design tool to modify this template.